Died: October 29, 1831 at 41 yrs. Married (1): December 19, 1816 in Sandwich Ma. 1. 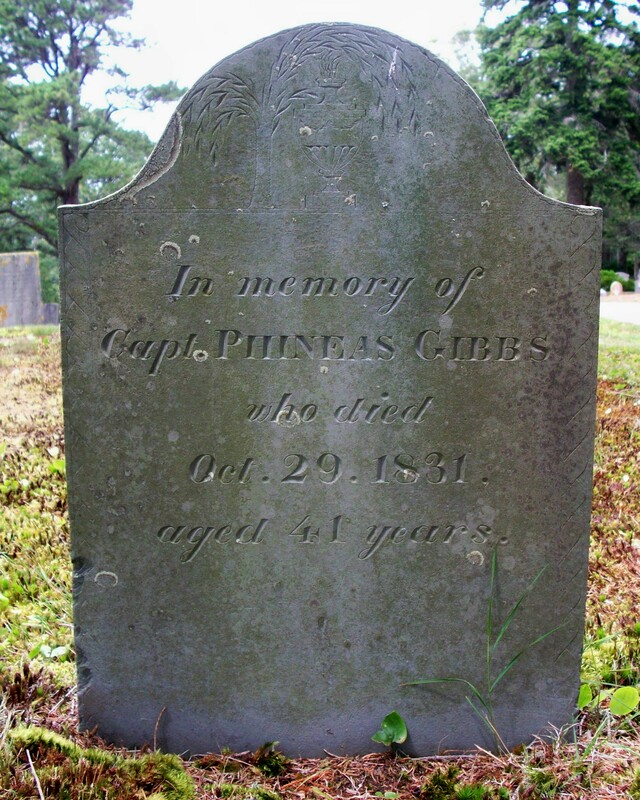 Phineas Gibbs; (November 16, 1817 – January 27, 1892); Married Ann Maria Cushman (1823 – 1892) (Jabez Cushman & Nancy Gibbs); Phineas & Ann are buried in Pocasset Cemetery. 2. Elisha Bourne Gibbs, Capt. ; (November 8, 1819 – April 3, 1872); Married (1) Emeline/Emily Barlow (1824 – 1857) (Levi L. Barlow & Sally Lumbert) in Sandwich Ma. on August 12, 1843 & married (2) Martha (Bourne) Baker (1826 – 1862) (Henry Bourne & Almira Haskell) in Foxboro Ma. on November 11, 1858 & married (3) Mary E. Eaton (1833 – 1915) (George Eaton & Hannah (–)) in Foxboro Ma. on April 21, 1863; Martha married (1) Elijah Baker, Jr., Capt. (? – 1855) (Elijah Baker & Olive Gifford) in Sandwich Ma. 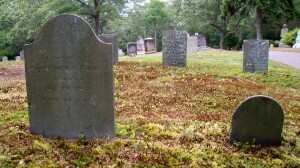 on August 8, 1847; Elisha, Emeline/Emily & Mary are buried in Pocasset Cemetery. 3. Anna Gibbs McAllister; (March 22, 1822 – October 2, 1892); Married Thomas McAllister (1816 – 1887) (Thomas McAllister & Nancy Smith) in Pocasset Ma. 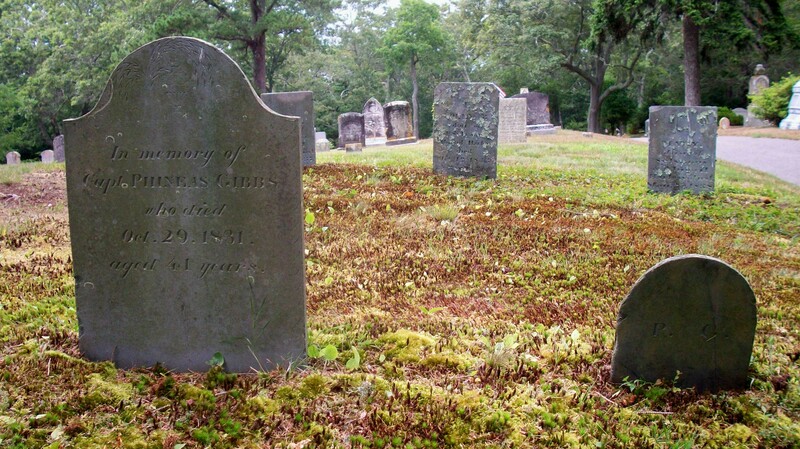 on June 27, 1841; Anna & Thomas are buried in Pocasset Cemetery. 4. Ezra Gibbs; (June 8, 1824 – November 9, 1850); Married Ellen Henley (1827 – ?) (James Henley & Mary P. (–)) in New Bedford Ma. on June 24, 1849; Ellen married (2) Obadiah G. Spencer (1822 – 1867) (John A. Spencer & Phebe Vaughn) in New Bedford Ma. on April 20, 1863; Ezra was a Mariner & died at sea at 26 yrs, 5 mos. ; His daughter Lucy Ellen (Gibbs) Kendrick is buried in Pocasset Cemetery; Obadiah is buried in Rhode Island. Married (2); June 9, 1827 in Rochester Ma.